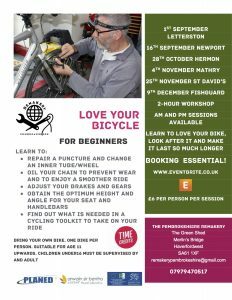 Learn to love your bike, look after it and make it last longer. find out what is needed in a cycle toolkit to take on your ride. Bring your own bike, one bike per person, suitable for 11 years upwards, children under 16 must be accompanied by an adult.